I simply love a good book and a good cup of coffee. Through the pages of a book I get to travel to new places, old times and different cultures. I love historical fiction, a good thriller and there is nothing better than a good southern novel. A historical, Gothic tale of mystery, enchantment, forbidden love, and the life changing power of books. Imagine you could erase grief. Imagine you could remove pain. Imagine you could hide the darkest, most horrifying secret…forever. Truly spellbinding. A historical fiction novel set on the Korean island of JeJu during the 1930’s, 1940’s, WWII, The Korean War, and present day. A beautiful story of two women’s friendship and the larger forces that shape and define their friendship. A story of the haenyeo women known as the fierce female divers of the JeJu Island and their unforgettable history. One of Lisa See’s best! A wonderful novel telling the story behind The Wizard of Oz. The story is told from the authors wife, Maude Brown, in Hollywood 1938 where she goes to the movie set to make sure they film the story true to the book. Maud reminiscences about her and Frank’s life and how The Wizard of Oz came to be. A fabulous book about one of my all time favorite movies! Based on a haunting true story: Germany 1943 a young woman named Rosa along with nine other women are chosen to be Hitler’s tasters. Two times a day they are taken to secret headquarters known as “The Wolf’s Lair” to taste Hitler’s food, being forced to eat something that may or may not kill them. A compelling, unsettling read of survival, guilt, hunger, and love. This novel is an unforgettable story of the ties that bind us together, the responsibilities we embrace, the duties we resent, and how we can lose and sometimes rescue the ones we love. A story of four siblings and the tribulations they go through with family, love, and survival. I loved this book! This novel takes place during a time where storytelling was a part of everyday life. A story of three missing girls and three desperate families set along the Thames River. Part folklore, magic, mystery, and mayhem told by a master storyteller. I loved it! A page turning psychological thriller about a single over protective mother, a best friend, and a 16 year old daughter all with secrets. A broken promise from long ago surfaces, and promises aren’t meant to be broken. What a great eerie Victorian gothic novel! The intricate details of the estate, and the mysteries that lurk around each corner will keep you up at night! 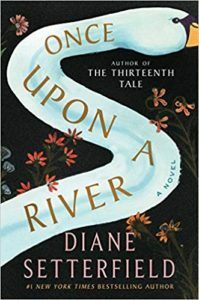 Elegantly written historic fiction of Korea, following two sisters separated by WWII. It’s suspenseful, hopeful, and redemptive. I loved it! 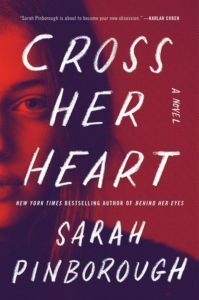 A debut novel by 24 year old Danya Kukafka, a chilling story written about the fine line between love-obsession and stalking. A great read! After seeing a car stopped down a back road in the middle of a thunderstorm, Cass does nothing. Should she have stopped? Cass feels as if she’s being watched, and begins getting silent phone calls. Her memory starts to escape her, and she can’t remember important details of her daily life. A great psychological thriller. If you can’t trust yourself, who can you trust? The forerunner to Jurassic Park, this story takes place in 1876. With warring Indian tribes, gold rush fever and an expedition in search of dinosaur fossils, the action is non-stop! Great read! Historical fiction of Renaissance Italy during the last years of the House of Borgia. Sarah Dunant is a great storyteller bringing to life this historical family. Loved it! A novel you won’t want to put down about friendship and courage during WWII. A circus of hidden Jews, the powerful bonds of friendship and the struggle to survive. A must read! A magical debut novel of fairy tale and historical fiction set in medieval Russia. Loved it! Suspenseful novel that takes place on a cruise ship. Great beach read! An excellent thriller of a tale of sisters, secrets and something sinister. A real page turner! A wonderful new novel that takes place at the end of the depression in the small town of Macedonia, WV. Layla is sent to write for the Federal Writers Project as punishment by her father. As in any small town, there are secrets, mysteries, and skeletons about to be revealed as the history unfolds. A wonderful book that I did not want to end.